Really, is there anything better than a hot bowl of soup on a cold winter night? 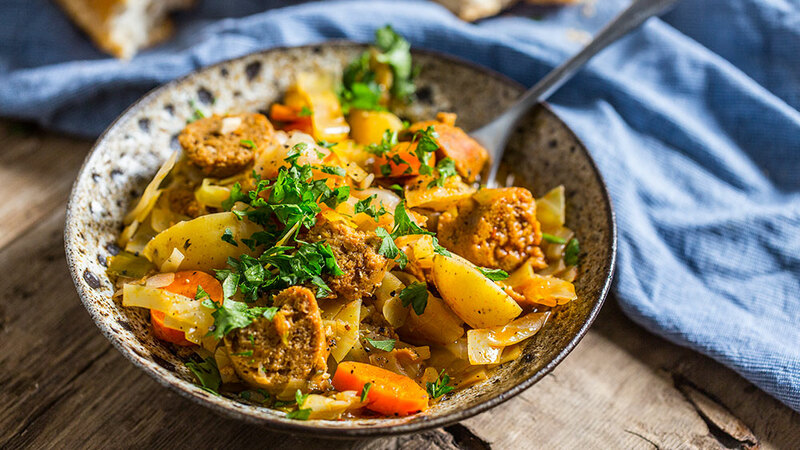 These plant-based soups and stews draw inspiration from around the world, and as a side or main, will heat your kitchen up while transporting you on a flavor adventure. Slurp on! Need something hot, and fast? This vegan recipe can be made on your stove in 30 minutes. Even better? Toss everything in your slow cooker in the morning to enjoy when you get home from work. 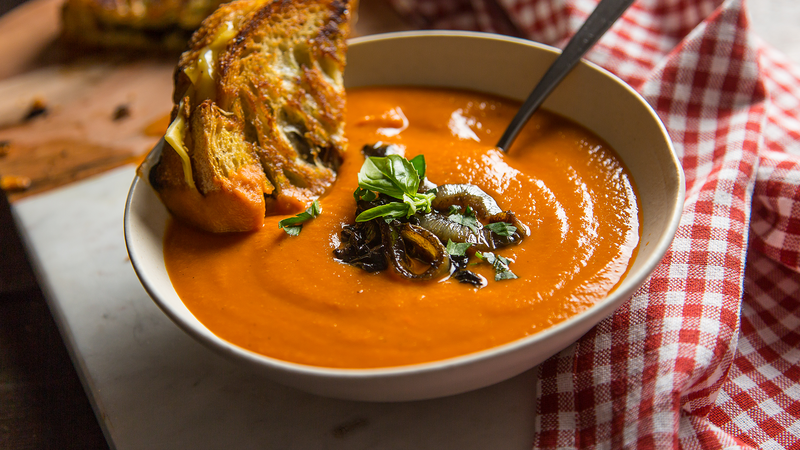 Best paired with grilled cheese, you’ll never guess the secret ingredient in this rich tomato soup. Cold weather doesn’t mean flavor needs to go on a freeze. 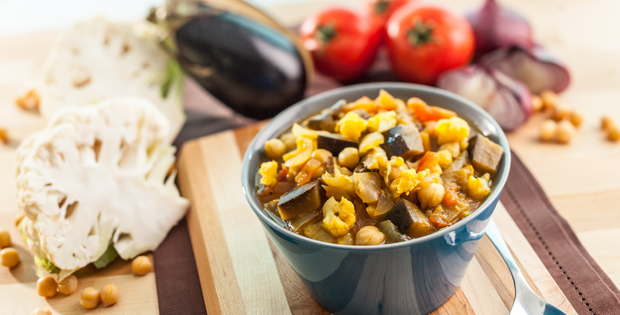 Rich and vibrant, this hearty Moroccan Stew is a bold addition to your evening. Warm up with a hot bowl of ramen noodles—done one of two ways! This savory broth will not make you miss regular ramen for one second. 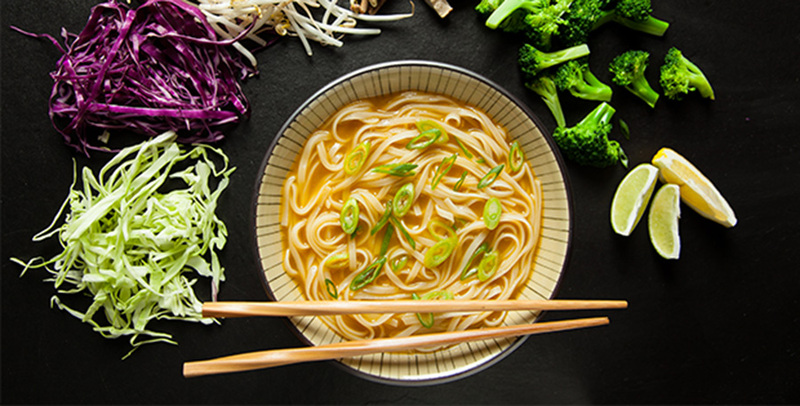 This soup is pho-nomenal. Add whatever veggies you have in the fridge and be sure to finish it off with a fresh squeeze of lime. 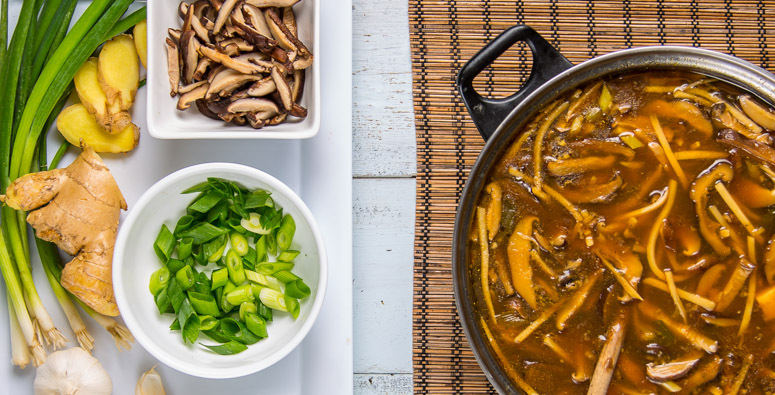 To warm yourself up before a full stir-fry meal, make an appetizer of Hot & Sour soup. 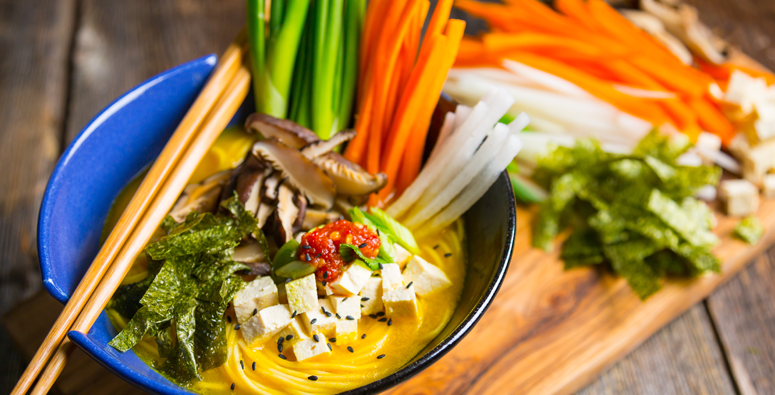 Chef Morgan’s plant-based take on this much-loved recipe will have you asking for seconds in a heartbeat. 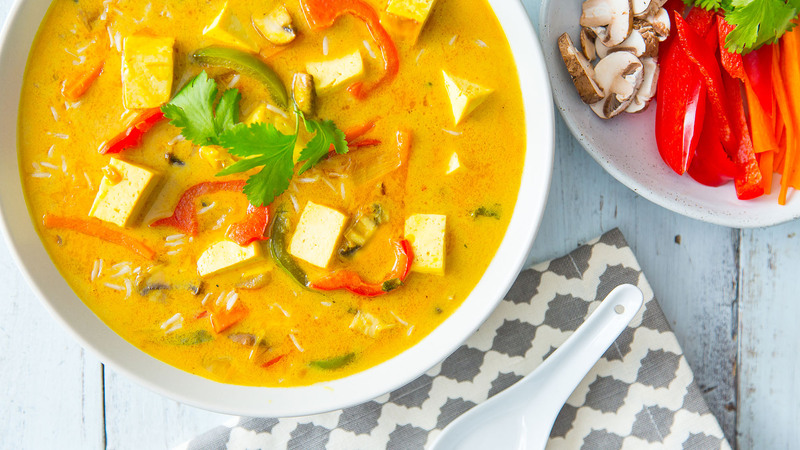 This plant-based curry is lunchtime favorite at Vega HQ. Serve with brown rice for a well-rounded meal. 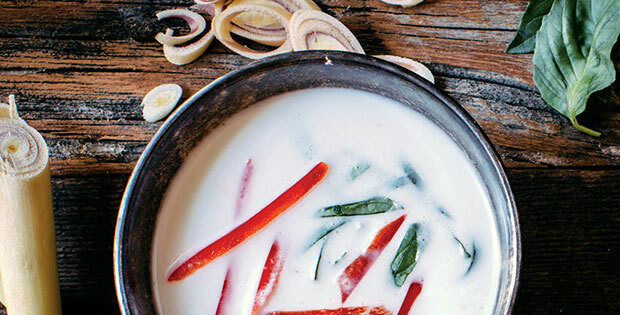 Straight from the pages of Brendan Brazier’s Thrive Energy Cookbook, this Thai coconut soup has it all—enough plant-based nutrition to make this soup feel like a meal and just enough heat to warm you up on a cool winter evening. 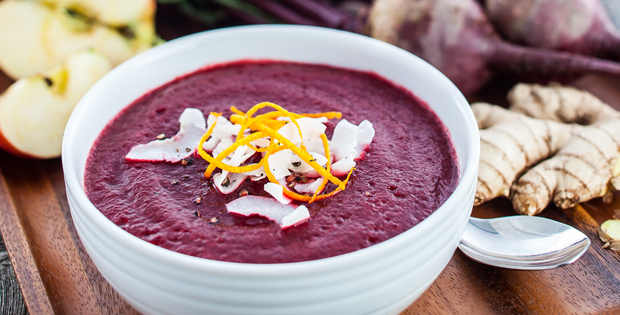 Yes, you can blend apples and beets together in a delicious soup. This soup packs well for lunch tomorrow too. 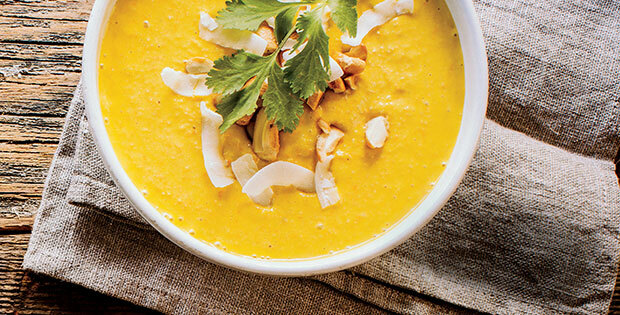 Another gorgeous soup from Brenan Brazier’s Thrive Energy Cookbook, this combination of carrot, avocado and coconut makes a perfectly creamy soup. RHUBARB IN A STEW? 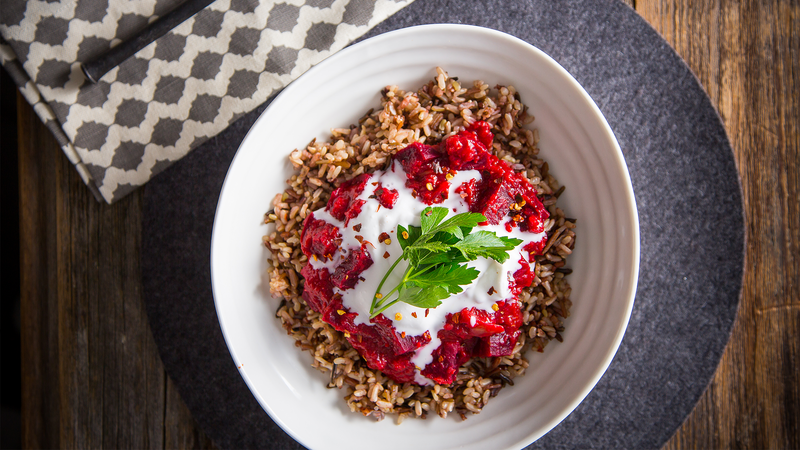 We’re not kidding, this stew is a delightful twist on your traditional lentil dish. As soon as you can find rhubarb in the grocery store, be sure to add this stew to your to-do. 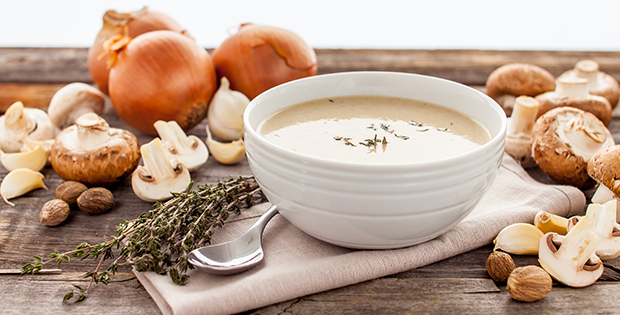 Get hit with a solid dose of nostalgia when making this creamy mushroom soup—completely plant-based! What soup recipe are you making this month? Leave a comment below, or tag @Vega_Team on an Instagram post of your recipe.